Knowing what people want and serving them wherever they are is tantamount to creating a dialogue. Well, almost - you need to be empathetic & leverage your data effectively. 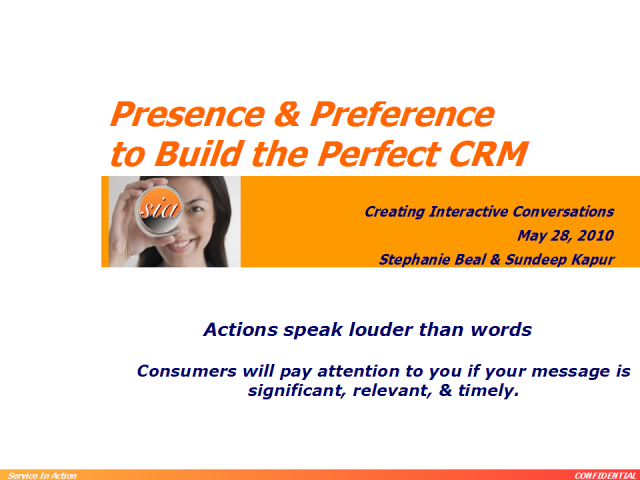 Join Stephanie Beal & Sundeep Kapur as they talk about the best way to leverage preferences and presence to build the perfect CRM.